From boozy mojito-watermelon to fruity-tangy nectarine-buttermilk, here are seven terrific popsicles to make as the temperatures rise. 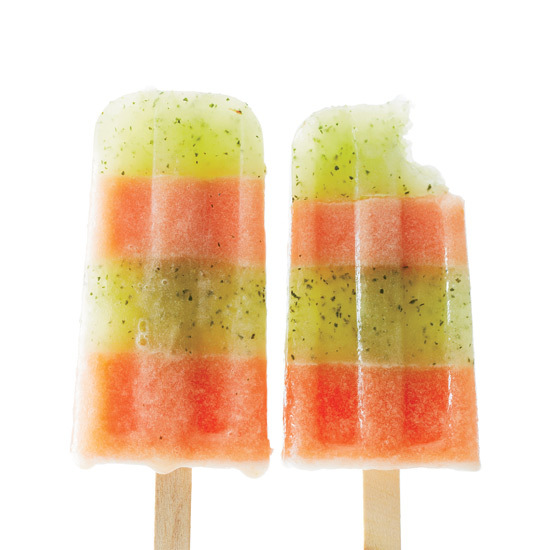 Chef Rick Bayless's paleta (Mexican ice pop) features coconut milk, lime juice and sugar. This fantastic boozy popsicle layers minty mojito with vodka-spiked watermelon. What's the secret to these silky ice cream pops? Fold whipped cream into the coffee-infused chocolate before molding and freezing. These refreshing popsicles get a boost of flavor from ginger liqueur. Five ingredients are all you need for these delicious popsicles. No fancy popsicle molds needed: Standard ice cube trays are an easy way to make these healthy frozen snacks. These wine-spiked pops are made with bright and fruity fresh pear puree.